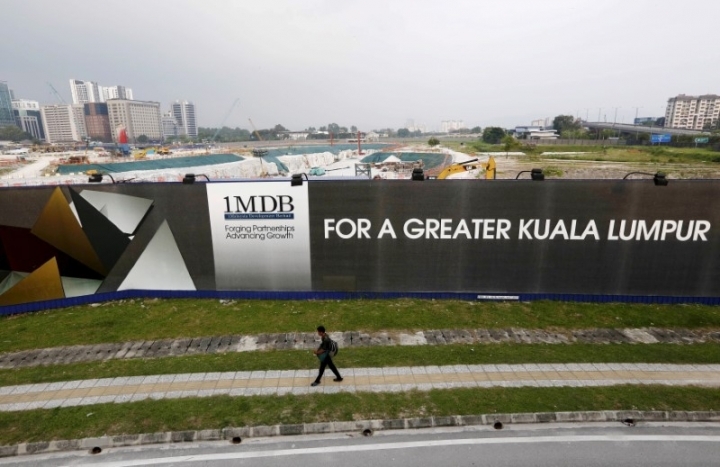 KUALA LUMPUR (Reuters) - Malaysia has frozen more than 400 bank accounts as part of a probe into a multi-billion-dollar scandal at state fund 1MDB, a task force said on Monday, as the stepson of former prime minister Najib Razak was summoned for questioning. Prime Minister Mahathir Mohamad, who ousted Najib in a shock election upset in May, has reopened investigations into 1Malaysia Development Berhad and vowed to recoup money allegedly siphoned off from the fund. A task force looking into 1MDB said in a statement 408 bank accounts involving funds of about 1.1 billion ringgit ($272.4 million) had been frozen. The frozen accounts included those of 81 individuals and 55 companies believed to have received funds from 1MDB and involved nearly 900 transactions between March 2011 and September 2015. "The accounts were believed to be linked to the misappropriation and misuse of 1MDB funds," the task force said. The task force had earlier said it had frozen accounts belonging to the United Malays National Organisation (UMNO), the political party once led by Najib. Founded by Najib in 2009, 1MDB is being investigated in at least six countries for alleged money laundering and graft. Civil lawsuits filed by the U.S. Department of Justice allege that nearly $4.5 billion was misappropriated from 1MDB. Najib's stepson, Riza Aziz, has been summoned by Malaysia's Anti-Corruption Commission (MACC) to give a statement in connection with the probe, media reports said on Monday. An MACC source confirmed the reports, saying that Riza was expected to come to the commission's headquarters on Tuesday. "Yes, he has been called in to attend at 2 p.m. (0600 GMT)" said the source, who declined to be identified as they were not authorized to discuss the matter. Riza is the co-founder of Red Granite Pictures, a company that U.S. prosecutors say financed three Hollywood films, including the 2013 Martin Scorsese movie "The Wolf of Wall Street", with funds misappropriated by 1MDB. Both Najib and Riza have consistently denied wrongdoing. Red Granite paid the U.S. government $60 million as part of a settlement of a civil lawsuit in March.